Marinate bean curd with seasonings in group A for 1 hour or more. Heat wok with oil, turn to low heat. 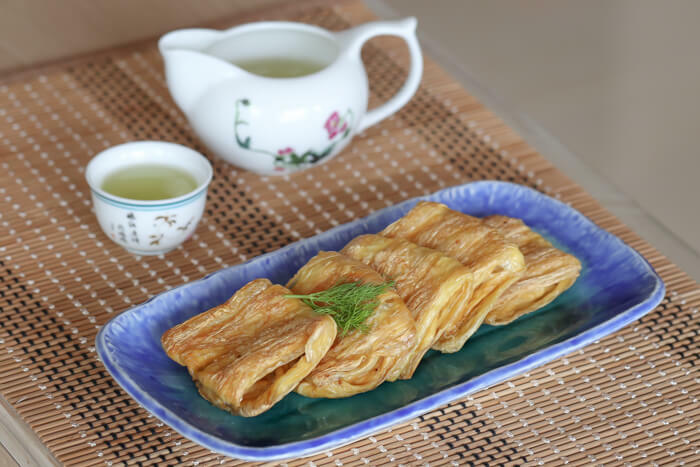 Fry bean curd until both sides firmed and crispy. Cut bean curd into slices. Serve with dipping. Dipping can be adjusted to personal taste.